This sweet boy is Stan Lee and he has cancer. 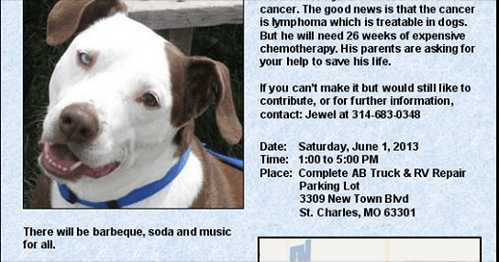 The good news is that the cancer is treatable in dogs. But he will need extensive 26 weeks of expensive therapy. His parents our asking for your help to save his life. JUNE 1st @ 3309 New Town Blvd.